A neighborhood in the San Fernando Valley region of L.A., Tarzana was originally the site of a former ranch owned by the author Edgar Rice Burroughs and is one of the oldest communities in the Valley. Tarzana was named after Burrough’s most recognizable character, Tarzan. Tarzana is a pleasant region with a rich history. Although the area is named after the jungle hero, Tarzan, it was first occupied by Spanish settlers and missionaries who later founded San Fernando Mission. After being absorbed by Mexico, current-day Tarzana was ceded to the U.S. in 1848 through the Treaty of Guadalupe Hidalgo which followed the Mexican-American War. In 1909, the area was purchased by the Los Angeles Suburban Homes Company who sold it in 1919 to Edgar Rice Burroughs. Burroughs established his family in the area and named his large tract of land “Tarzana Ranch” in honor of his most popular book series. In 1930 Burroughs divorced and sold Tarzana Ranch to a development company, but it’s new residents decided to keep the name of Tarzana for their new community. Today, Tarzana is a vibrant community in the San Fernando Valley with a wide variety of businesses, restaurants, and shops along Ventura Boulevard. Constantly keeping pace with modern industry and amenities, Tarzana continues to develop more and more schools including the Columbia College of Hollywood, a private nonprofit film school. Tarzana provides locals with numerous places for recreation from libraries and parks to the El Caballero Golf Course, built on land that once was the Edgar Rice Burroughs’ estate. Caballero “Cowboy” Canyon offers residents and visitors alike numerous trails for hiking and mountain biking up to summits that afford unobstructed views of the San Fernando Valley. In Tarzana, the best of both worlds can be had — urban convenience alongside outdoor recreation. There may come a time when you’ll require the services of a personal injury attorney if you’ve been injured in a car or slip and fall accident, been the victim of a dog bite, or believe that you may have a medical malpractice claim. Why look across the city for a competent attorney when one of the best is located near Tarzana? If you are a resident of Tarzana and are unsure of where to go for legal advice for personal injury, consider contacting an attorney for personal injury in Encino, CA. 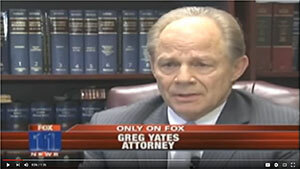 Gregory Yates is the best among local lawyers. Recovering millions for his previous clients, Gregory Yates is a personal injury attorney that will take your case seriously. 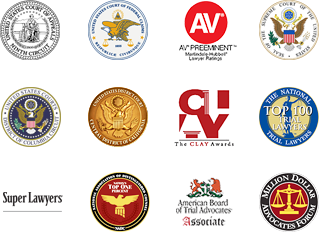 As a fellow member of the community, Gregory Yates provides legal services to clients in Tarzana and throughout the San Fernando Valley. In practice for more than 40 years, Gregory Yates has one of the highest success rates in all of California. Call our office to schedule your free consultation.